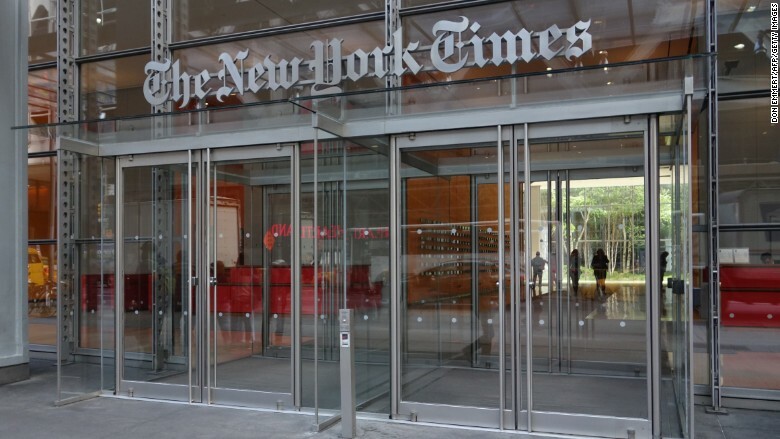 Since Inauguration Day, a documentary filmmaker has been embedded inside The New York Times, working on a film about the acclaimed news organization in the age of Trump. The project, produced and directed by Liz Garbus, is being financed by the Showtime network, according to multiple sources with knowledge of the deal. The tentative title, subject to change, is "The Fourth Estate." Showtime anticipates intense interest in the film, given the Times' many scoops and scrapes involving the Trump presidency. The sources said Showtime envisions a multi-night television premiere for the film sometime in 2018. One of the sources said it will air in four parts, the same way Oliver Stone's "The Putin Interviews" recently did. But first the Times film may go on the festival circuit. Garbus's two most recent films, "Nothing Left Unsaid: Gloria Vanderbilt & Anderson Cooper," for HBO, and "What Happened, Miss Simone?" for Netflix, both premiered at the Sundance Film Festival. A Showtime spokeswoman said the network has no announcement to make about the film, which indicates that it is still in production, without a definitive premiere date. Sources who spoke on condition of anonymity said Garbus will continue filming through next January. The project has been kept hush-hush inside the Times and Showtime. But interest was piqued when Garbus filmed some of the Times' daily editorial meetings. Garbus has also been shadowing individual reporters in Washington, D.C. and New York who have been covering the Trump administration. Politico's Hadas Gold first reported on the existence of a film crew inside the Times newsroom earlier this week. The film is expected to explore both the political landscape -- with the newspaper covering a president who routinely calls the paper "failing," which it is not -- and the Times' evolution from a print-centric to a digital-centric production. Reviewers said "Page One" was effective in peeling back the Times' heavy curtain. Garbus has an opportunity to do the same thing. Her other past films include "There's Something Wrong with Aunt Diane," "Bobby Fischer Against the World" and "The Farm." An interest in journalism runs in her family; her father, Martin Garbus, is an attorney who specializes in First Amendment cases. He was featured in her 2009 documentary "Shouting Fire: Stories from the Edge of Free Speech."